David Spurgeon, one of Canada’s leading, trailblazing science writers for more than 60 years, died last Saturday, Apr. 11, 2015, two days after his 90th birthday. He died at Ste. Agathe des Monts Hospital, Quebec, due to complications from a virus in the bloodstream and prostate cancer. Mr. Spurgeon was the first full-time science writer for The Globe and Mail, Canada’s national newspaper, in Toronto, where he worked from 1953 to 1971, and was officially appointed science writer in 1960. During that period he reported on all manner of science, but notably the U.S. space program, which he covered from the first Mercury flights to the Apollo 11 moon landing and beyond. His July 21st, 1969 story with the headline, “MAN ON MOON,” was the historic, high point of that period. He covered the event at both the launch in Cape Kennedy, Florida, and then Mission Control, in Houston, Texas. After a brief period of reporting at the London Free Press newspaper, in London, Ontario, in the early 1950s, he moved to the Globe where he started in general reporting, before quickly working his way into the science and medicine beat, then making science his specialty. In 1960, he also became the first Canadian journalist to be given a one-year scholarship to the Journalism Faculty’s Advanced Science Writing Program at Columbia University in New York City. In fact, his relationship with both science writing and Columbia went way back: While taking a bachelor’s degree in general arts at the University of Western Ontario, in 1946, he contributed articles to the school newspaper about scientific research at the university. After graduating from there, he took a masters degree in journalism at the Columbia University School of Journalism. In 1961, he cofounded the Canadian Section of the American National Association of Science Writers, and a decade later he was a co-founder and then second president of the Canadian Science Writers’ Association, from which he was honored with a lifetime achievement award in 2013. An adventurous spirit, Mr. Spurgeon did not launch directly into his career, but first found a job as a tutor and chaperone to a wealthy, but slightly troubled, young Canadian whose parents wanted their son to have experience of the world in controlled and cultivated circumstances. Mr. Spurgeon spent a year touring Europe with the young man, living in places like Menton, on the French Riviera and hanging out in Monaco, where he met a budding racing driver named Stirling Moss, with whom he would have a rivalry chasing the same woman – whom Mr. Moss (soon to be the greatest Formula One driver never to take the world title) won over, if only briefly. In the late 1940s, Mr. Spurgeon also set out on a Waterloo, Ontario-to-New Orleans road trip on a Norton motorcycle on which he had built and attached a crystal radio in order to listen to music throughout the voyage. He was a lifelong jazz music aficionado. 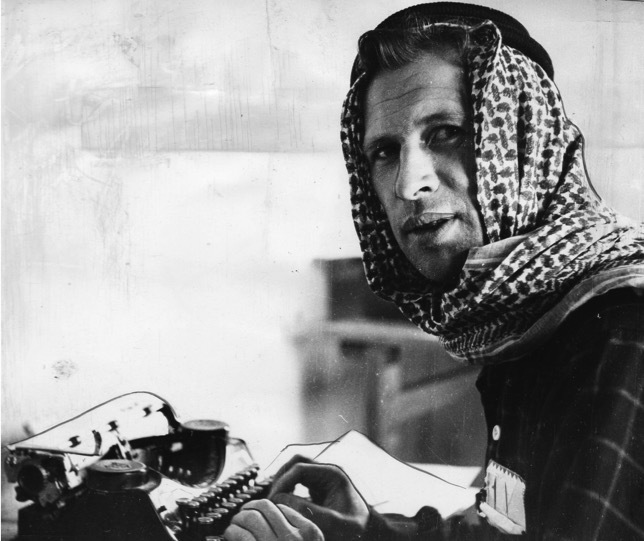 The adventurous spirit would serve him well first as a journalist at the Globe, where he covered such events as the digging up of the ancient walls of Jericho – for which his photo adorned Toronto’s public buses – and then later in his decision to leave daily newspaper journalism to work as a director, writer and editor of publications for international development organizations. “David was, as I tried to become, a journalist who covered science, as opposed to a science journalist,” said Peter Calamai, a longtime Canadian journalist and foreign correspondent for Southam News, who first met Mr. Spurgeon in 1967, when Mr. Calamai was starting his science writing career at the Hamilton Spectator, and both were nominated for a science writing prize offered by the Cornell Aeronautical Laboratory. Mr. Spurgeon won for a story about the importance of fundamental research for society. In 1968, Mr. Spurgeon founded, edited and published Canada’s first science magazine devoted to popularizing science and acting as a forum for interdisciplinary communication amongst scientists. Called Science Forum, the magazine lasted until 1979. Its board members and writers included many of Canada’s leading scientists, including Dr. David Suzuki, Canada’s best-known science popularizer. Mr. Spurgeon edited the magazine on the weekends out of a small apartment attached to his family home in Thornhill, north of Toronto, after his father, for whom the adjoining apartment was built, died in 1967. He later ran the magazine from his study in the Revelstoke area of Ottawa. David Carey Spurgeon was born in Woodford Green, a part of the Northeast London suburb of Woodford, in England, on Apr. 9, 1925 to a British mother, Elizabeth, and father, Carey, who was an actuary in the insurance business. During World War I, Carey served with the Royal Air Force in France and Egypt, and in 1917 he took part in one of the war’s bloodiest battles, the Battle of Vimy Ridge. Mr. Spurgeon’s parents moved to Waterloo, Ontario, in Canada in 1928, when Mr. Spurgeon was still just two years old. He never considered himself British, although he did apply and receive a British passport while in his 60s, in addition to his Canadian nationality. The family had been English for many generations, and included such illustrious members as the famous 19th century preacher, Charles Haddon Spurgeon, a precursor to today’s television evangelists, who was a great uncle of Mr. Spurgeon. Religion ran deep in the family, and Mr. Spurgeon’s father had wanted his son to become a minister of the church. Carey himself was born in India, the son of a missionary. Mr. Spurgeon protested early against the idea of the church, turning instead to science. It would be his sister, Muriel, who would become a minister, the first female Baptist minister in Ontario, who then spent 30 years as a missionary in India. Mr. Spurgeon briefly trained in the Canadian Air Force, but World War II ended before he was required to do service. 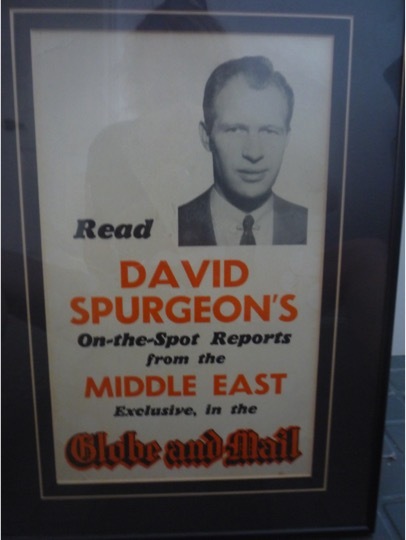 Mr. Spurgeon’s period at the Globe and Mail was during one of the great eras of the newspaper’s history, under the editorial leadership of Richard (Dic) J. Doyle and with Clark Davey as managing editor. 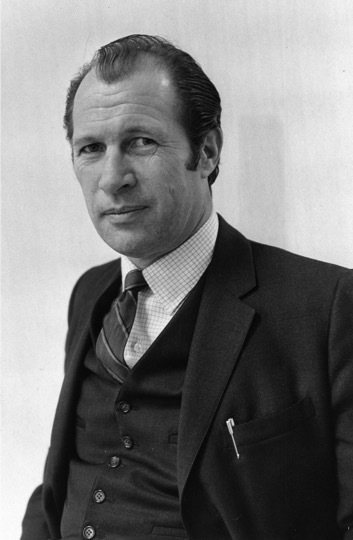 Doyle would edit the paper for decades before retiring and being appointed to the Senate, from 1985 to 1998, by Brian Mulroney, the Prime Minister (before Doyle died in 2003). Davey would go on to become publisher of the Montreal Gazette, The Ottawa Citizen and Vancouver Sun. His cousin, Norman Jones, a medical doctor, once described Mr. Spurgeon as the kind driven man who, once he set his sights on a goal, would go directly at it and never waver until it had been attained or achieved. Mr. Spurgeon was perceived by his colleagues at the Globe and Mail as a hard working, serious man who kept his head down on his job. Doyle would later say of Mr. Spurgeon that he had always admired him as a man who in his mid-40s had the courage to quit his job at the height of daily journalism to begin a second career, in international organizations. Mr. Spurgeon joined the International Development Research Centre, based in Ottawa, in 1971, and moved his family, with his wife Vicki (always considered the most beautiful woman at a party, according to many who knew her), his daughter Toni, and his two sons, Scott and Brad, to live in Canada’s capital city. At the IDRC, he was hired to run the publications program of the fledgling organization that had been designed to give aid to developing countries; but rather than just providing money, the idea was to help them create programs that the countries thought they needed in order to advance. It proved to be an enriching period of Mr. Spurgeon’s life, as he traveled the world to developing countries, which, in a way, hearkened back to the missionary life of his ancestors. Meanwhile, living in Ottawa and working at a quasi-governmental organization, he learned French, becoming bilingual in his 40s, in support of his idea of a unified Canada of two cultures. He also at this time took speech lessons to do away with a handicap he had had all his life, in the form of a lisp. But while his writing credentials and talents were impeccable, Mr. Spurgeon became disillusioned with the job of director of publications, as he realized that far too much of the work involved the management of human beings, and not enough was devoted to writing. So began the third period of his career, when he left the IDRC, for a job in 1979 at a similar organization in Africa, based in Nairobi, Kenya, called ICRAF. Like the IDRC, the International Center for Research in Agro-Forestry was designed to help developing countries improve a form of agriculture that they specialized in, but that ICRAF offered to develop and spread in a more scientific manner. It involved growing agriculture and forests and all manner of crop on the same plots of land, which was specific to certain economies but not done in the West. From ICRAF he continued to edit and organize the publications of several other international organizations around the world, including the United Nations Environment Program, also based in Nairobi, and other organizations, based in Canberra, Australia, the Philippines and elsewhere. He stayed there for two and a half years before returning to Ottawa in 1986, where he continued to work as a freelance, writing for publications such as Nature, the British Medical Journal, Science and New Scientist. He also worked on several book contracts, such as writing one of the first books on Canadian AIDS policy, called, Understanding AIDS, which was commissioned by the Royal Society of Canada. His wife, Vicki, died of breast cancer in June, 1986, at the age of 54, and not long afterwards Mr. Spurgeon sold the Ottawa home and moved to Mont Tremblant, Quebec. There, he bought a house on the lakefront of Lac Ouimet in order to retire in his cherished conditions of watersport and tennis in the summer, and skiing in the winter. The outdoors was a love that had been nurtured when, as a boy, he had attended Kilcoo Camp, near Minden, Ontario, which his father, and then his sons, would all attend as well. Mr. Spurgeon was an avid tennis player, and played the game up until one day at the age of 83 he dived for a ball during a match and landed on a cement drain and broke his hip. Although he occasionally practiced cross-country skiing after that, he was rarely able to hit a tennis ball, and never again downhill skied. 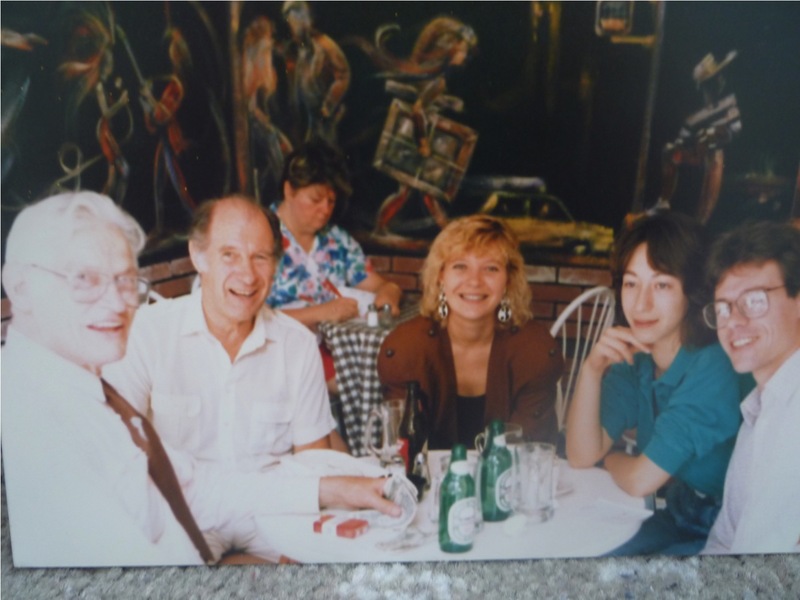 In Mont Tremblant he also continued to write regularly for the BMJ and other publications. Over his career, he contributed to many of the world’s major newspapers and magazines, including the Christian Science Monitor, Reader’s Digest, Scientific American, Newsweek, the London Times, The Observer, The Washington Post and the Bulletin of the Atomic Scientists. 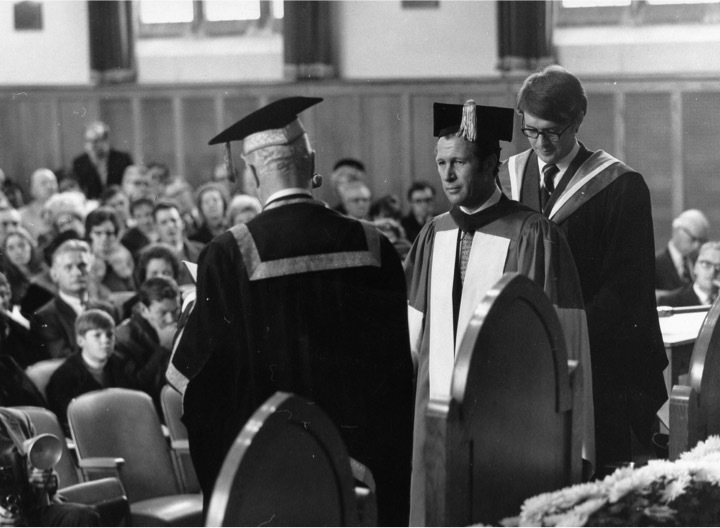 In 1970, he was awarded an honorary doctorate degree from the University of Guelph, Ontario. Mr. Spurgeon, who built his own ham radios, was also an amateur radio operator, having held a ham radio license most of his life, and continued into his 80s to operate his ham set, a pastime that had provided him with friends around the world. At the age of 68, while living in Mont Tremblant, while he was researching a story about prostate cancer, he asked a clinic how they perform the tests. They suggested that the best way for him to learn would be for them to perform the test on him. Not long after that they informed him that the tests showed that he had prostate cancer. Having done considerable research for the story, he chose not to operate but simply keep an eye on the cancer at regular intervals. It proved to be the right choice, as it would not start to spread until two years ago – after 20 years of a life otherwise unaffected by the often-crippling side effects of radical prostate cancer treatment. He had also suffered a melanoma in his 50s, which was also discovered by chance, by his cousin, Jones, the doctor, when they were on a boat on a lake, and his cousin noticed the bleeding mole on his back. He also had heart bypass surgery in his early 70s. Through it all, he maintained a never-ending positive, optimistic life view, spending the last 25 years with his companion, Maria Martinengo, who is 25 years his junior, and whom he had met in Mont Tremblant. He is survived by his daughter, Toni, of Toronto, his son Scott, of Ottawa, his son Brad, of Paris, France, and his sister Muriel, of Woodstock, Ontario, and by grandchildren, Lori, Lee, Paul, Emily, Paige and Spencer; as well as by Maria Martinengo. David Spurgeon was not very comfortable in the spotlight – he made few television or radio appearances, took part in few public panels – and he would rarely ever place himself in a story. He was trained during an era where journalists were meant to be objective. Late in life, he was disdainful of the new kind of journalism that had emerged in which the journalist takes center stage, often seeming to overshadow profile subjects in feature stories. 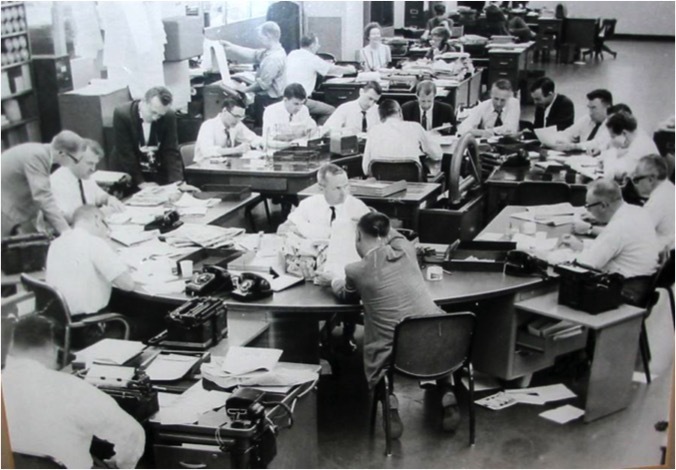 “During the mid-1950s, I sat briefly in The Globe and Mail newsroom at a desk opposite that of an engaging young reporter named David Lancashire. “We hit it off immediately: He was five years younger than I, had joined the newspaper a couple of years after I had, and we shared a love of jazz. “On Jan. 31, 1966, the newspaper published “2000: The Year of Spare-Part Humans, Instant Politics,” in which Mr. Spurgeon outlined what people could expect in 2000, » the paper wrote. “When he looked into his crystal ball, LBJ was in the White House, The Beatles were exploding onto the pop scene, Canada was planning its 100th birthday celebrations and Lester Pearson was prime minister. “Antidepressants, such as Prozac and Zoloft, are the main reason for the hike in benefit costs last year in the United States, according to Express Scripts, a pharmacy benefit manager,” the newspaper added. “With technological innovations, Mr. Spurgeon had a clear grasp of what was in store. He expected that newspapers would arrive via “facsimile broadcasts” or on television screens that would change continuously, enabling readers to flip through the entire paper. “In a nutshell, he summarized the greatest advance in computerized technology – the Internet and its World Wide Web,” wrote the Globe. Yes, today it is known as “the Internet of things,” and is still in its infancy. “He also correctly forecast that the climate would be warmer as a result of an increase of carbon dioxide in the atmosphere from the burning of coal, oil and gas in large quantities. The depletion of the ozone layer and global warming has proved to be one of the dominant environmental concerns of the past 30 years,” said the story. I’m so sorry to read your sad news, Brad. Your father was a remarkable man, and clearly touched many people through his work and through the power of his personality. He must have been immensely proud of you for following in his journalistic footsteps. Thank you for taking the time to share his story with your readers. I send my heartfelt condolences to you and your family. Always knew Uncle Dave was amazing, beautiful to read. Hi Reg, thank you very much for that! I recall your name from my teenage years! Hi Brad Very sad what a talented man. Our thoughts are with you. Hey Brad: this is Peter Paproski, your old neighbour from across the street on Leopold’s. I’m celebrating Christmas with My sisters Liz and Anna and we’re thinking of you all. Many great memories, including your Mom and Dad who we all loved and respected. Hope this finds you well. Give our best to Scott and Toni. I live happily in Montreal with my partner… and loved your list of open mics, many which I know as a fiddler. Hi Peter. Fabulous to hear from you and to hear you are all well. Amazing you found and can make use of my list of Montreal open mics. I didn’t know you played fiddle! I am rarely back in Montreal – or Ottawa – now. But I will look you up next time. By the way, do you know about the fabulous open mic in Wakefield Quebec? Jamie Munro, from our old neighborhood, is there frequently. The fiddle would work great there!